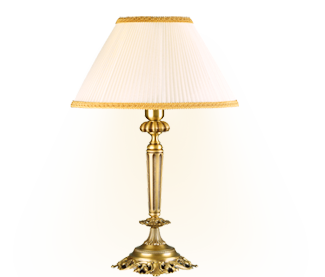 Moscow, Garibaldi str., house 36, property 3. 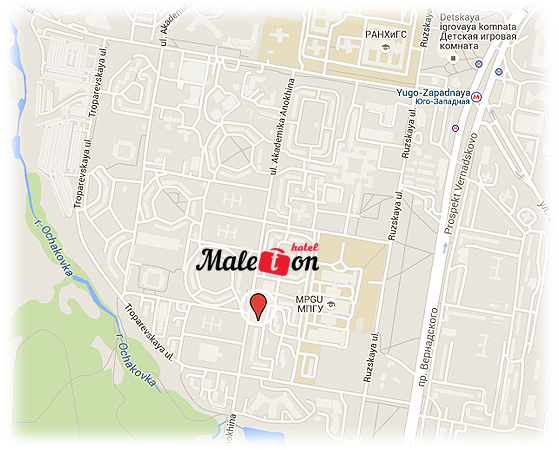 Maleton Hotel is in 25 minutes of driving from Red Square, in 40 minutes of driving from Vnukovo international airport, and in 5-7 minutes of walking from Novye Cheremushki subway station. 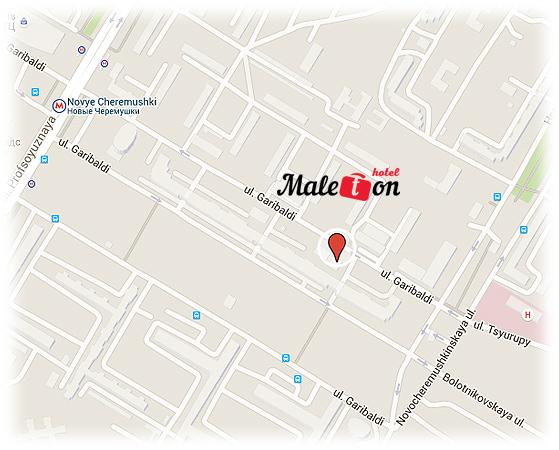 Maleton Hotel is situated near Yugo-Zapadnaya and Troparyovo metro stations, in 15 km from Vnukovo International Airport.